Specifically designed for a low profile, surface-mounted configuration, the PSM 3 is ideally suited for stage performances as well as video conferencing and other boundary applications. The PSM 3 contains a wide range of unidirectional condenser capsules mounted in its rugged housing, allowing it to become part of the acoustical boundary when placed on a flat, reflective surface. When a conventional microphone is used near a large, reflecting surface, the sound reflected from the surface reaches the capsule at a slightly different time than that of the direct source. Depending on the distance and the frequency, the reflected sound may either add to or subtract from the direct source, resulting in a number of peaks and dips in the output response. This is also referred to as Comb Filter Effect and can seriously degrade the reproduced sound. When the PSM 3 is placed on the reflecting surface, it becomes part of the reflecting boundary and the interior reflections are eliminated. The results are a cleaner, smoother, more natural sound. Another advantage to using the PSM 3 in surface mounted (or boundary layer) operation is that the sound pressure at the surface is approximately twice the value as it would be in free space (no reflective surfaces). This results in a 6 dB increase in output level and an added 6 dB of signal-to-noise ratio. 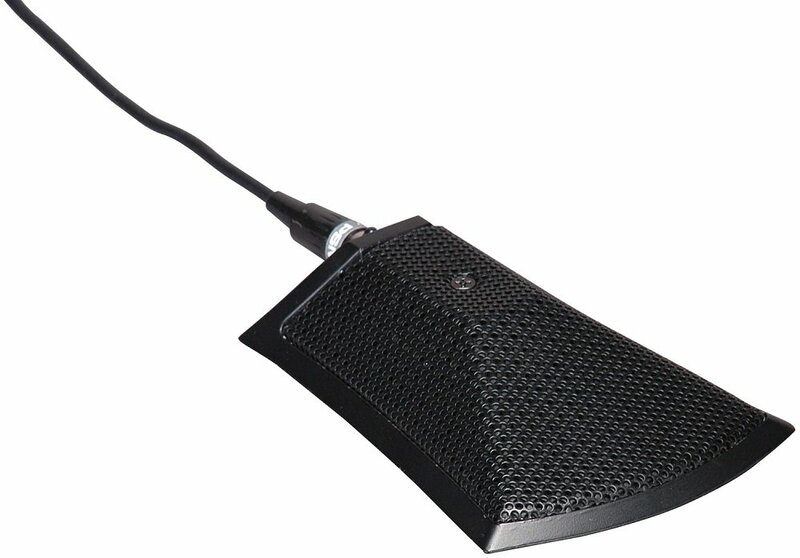 With a unidirectional surface-mounted microphone such as the PSM 3, there is also a 3 dB improvement in directivity, which helps both feedback rejection and a control of unwanted sound.